Designing the perfect mold is probably the most challenging task in plastics processing, especially in injection molding. The mold determines the quality, performance, and the profitability of a plastic part. Neither modern computer technology nor sophisticated CAE soft ware can substitute the experience of the practicing mold engineer. 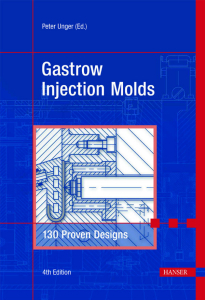 This is why the “Gastrow” is so special to plastics engineers: 130 mold designs are presented in this extensively revised edition of the great classic in mold making. Each of the case studies was actually built, tested, and run successfully in production. The book is written by practitioners, describing problem solving in the design and the manufacture of injection molds. The wealth of information includes rules of thumb, design details, and practical tips invaluable for everyone involved in this field. 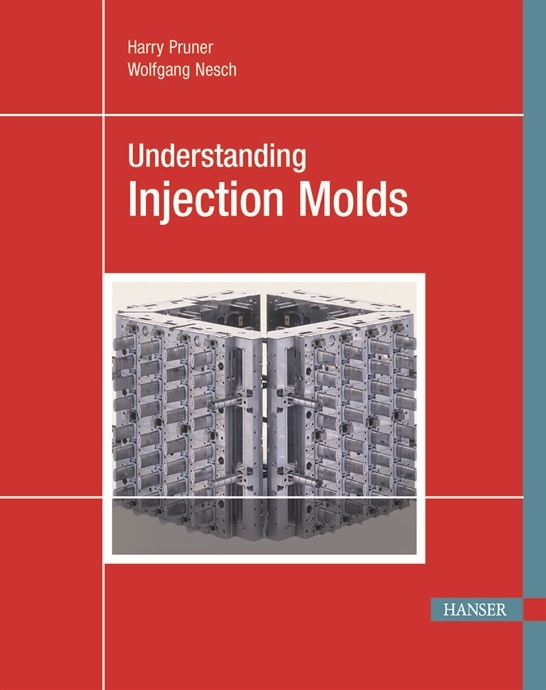 Author: Pruner, H., Nesch, W.
This book opens up the entire subject of injection mold technology, including numerous special procedures, in an established and practical way. It is specifically intended for beginners, young professionals, business owners, as well as engineering students. The chapters are clearly structured and easy to understand. The textbook is designed so that it provides a complete basic knowledge of injection molds in chronological order as well as daily guidance and advice. The numerous colored figures allow a rapid understanding of the content, which is especially helpful to the beginner who wants to learn about injection molds quickly. In the foreground of the description are thermoplastic molds. Divergent processes for thermoset or elastomer molds are explained at the end of each chapter. The book captures the current state of the art and is written by authors from the field. Harry Pruner is Managing Director of Marketing Services GmbH. Wolfgang Nesch worked for Ferromatik and was a master toolmaker for 30+ years in the application of technology and injection molding areas. 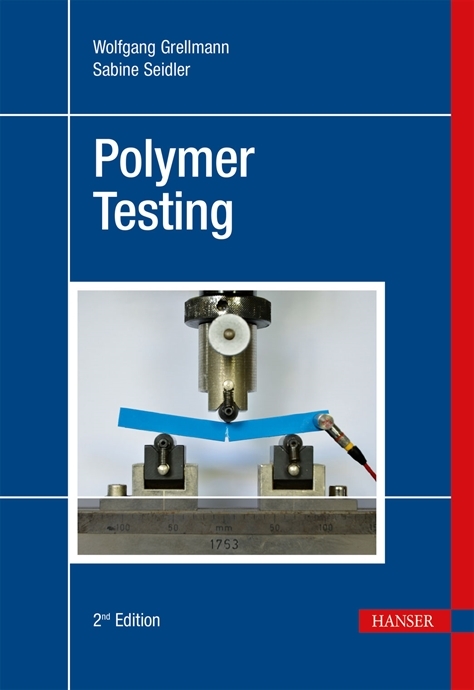 their composites and the assessment of component properties provide a material science focused insight into modern polymer testing. Prof. Dr. Wolfgang Grellmann, Chair "Materials diagnostic / testing of materials" at the Martin-Luther University Halle-Wittenberg. Prof. Dr. Sabine Seidler, Vice Rector for Research and University Professor of Non-Metallic Materials at the TU Vienna.